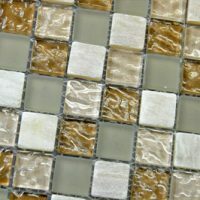 The Glass Mosaica Blend Night is a striking mosaic tile that makes for a wonderful addition to any bathroom or kitchen. 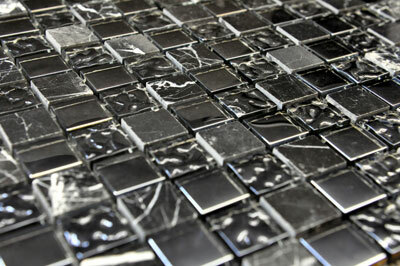 It is incredibly modern in appearance, which consists of multiple glass mosaics in a natural black finish. It complements all types of modern home décor and furnishings and the gloss finish will add a touch of class to any space. 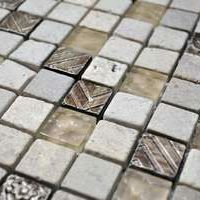 This mosaic tile is available in a standard size of 303x303mm and is sold per piece. It is suitable for use as a wall tile in decorative or feature walls or for creating borders. The Glass Mosaica Blend Night mosaic tile boasts of great looks and a fantastic design. It exhibits superior workmanship and top-notch manufacturing. It is designed to withstand the test of time and requires little to no maintenance. It will not lose its surface finish or good looks even with many years of usage. 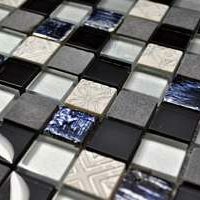 For modern mosaic tiles in Perth, look no further than the Glass Mosaica Blend Night tile. Buy this striking mosaic tile at the lowest price from our online store today!